Every day, hundreds of people of color in New York City are being added to NYPD’s Gang Database despite not having ever been a member of a gang, simply because of how they look. This inappropriate stigmatizing can result in serious consequences for our clients, including deportation, higher bail, and severe restrictions of confinement for those who are incarcerated. But Legal Aid’s Community Justice Unit (CJU), with the help of Kramer Levin Naftalis & Frankel, LLP, is doing something about it. Under the current framework of “gang policing”, communities of color are criminalized wholesale through the database and there are no constitutional protections. People provided no notice of being entered into the database, no opportunity to challenge inclusion, and ultimately no opportunity to be removed entirely. Working with Kramer Levin, Legal Aid has been able help hundreds of potentially impacted people submit requests under our “Do It Yourself” FOIL (Freedom Of Information Law) Initiative. Working with Kramer Levin has allowed the CJU to expand and amplify its work on behalf of these marginalized community members. A criminal record can pose a significant roadblock for clients who are striving to move out of poverty. By restricting someone’s ability to find employment, join the armed forces or pursue educational opportunities, clients are often left with few options to increase their ability to advance. But thanks to a 2017 change in the Criminal Procedure Law, individuals in New York who meet certain requirements are eligible to seal their criminal records, allowing them to move on with their lives without a past mistake hampering them. Through our Case Closed Project, eligible clients work with an attorney to prepare all the proper paperwork to make a motion to seal their prior record. This is work that changes the lives of the clients, and Legal Aid is fortunate to have two pro bono partners, Sullivan & Cromwell LLP and Winston & Strawn LLP, assisting these clients. 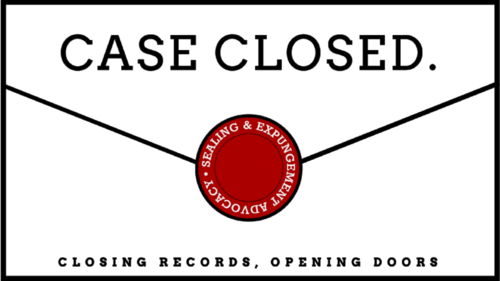 These firms take on full representation in criminal record sealing application cases. Work includes meeting with clients, gathering documents, submitting motions to Criminal and Supreme courts in all five boroughs, as well as guiding clients throughout the process. Emma Goodman is the Legal Aid Staff Attorney who oversees Case Closed. Although Emma is available to the firms at every stage of representation, the pro bono attorneys generally handle all aspects of the case. Additionally, the firms are developing internal expertise, so with time they will need less support which allows Legal Aid to help more people. Currently, Emma is the only attorney at Legal Aid who focuses exclusively on sealing work and she has over 150 eligible clients. Sullivan & Cromwell and Winston have taken on about 25 clients allowing Emma to devote more time to other clients and focus on broader areas of community outreach and legislative advocacy. Of the 26 successful sealing applications in the last year, 11 clients were represented by pro bono attorneys. Several of these clients have already found new jobs that they were previously unable to get before their records were sealed. Still, more work needs to be done. Case Closed hopes to not only expand its work providing direct representation, but also by advocating for broader legal reform through class action and other affirmative litigation. “We all know that the laws are only effective if they are followed, and pro bono partnerships can help us to ensure that sealing protections are available to all New Yorkers, regardless of their income,” said Emma. The impact that record sealing can have is truly life-changing, and we look forward to expand this work in the future to help more clients. In June 2016, The Legal Aid Society launched the Decarceration Project, a bail reform initiative fighting to end the illegal incarceration of New York’s most vulnerable populations. For nearly a year, attorneys in the Decarceration Project have worked with pro bono attorneys at Davis Polk & Wardwell LLP to fight for our clients’ release and for bail reform through litigation. They have contributed significant and impactful insight, research, briefings, and oral advocacy to meet these goals. In June of this year, months of planning culminated in a mass bail action in Brooklyn and Queens. Davis Polk associates observed arraignment shifts in both boroughs for an entire weekend, taking notes and providing feedback. In week that followed, they were stationed in Legal Aid offices in both boroughs to assist trial attorneys and Decarceration Project staff in bringing approximately a dozen writs to challenge bad bail decisions. The effort won the release of at least three clients in this first stage of litigation. Through this process we gained crucial strategic insight into how we can most effectively challenge New York’s bail system through litigation. This partnership is ongoing and the Davis Polk team continues to be generous with its time, creative problem-solving, and incredible research capacity. We are grateful to have as partners this dedicated group of lawyers who have an obvious interest in the long-term success of our Project, our clients, and bail reform in New York state. On another front, the Decarceration team has partnered with Kasowitz Benson & Torres LLP to challenge the practice of Bail Forfeiture. Assisting individual clients and families that have lost monies posted for bail when an individual misses a court date. This often means that the client, and more frequently their family, lose not only the initial premium they paid to a bondsman, but are then sued by the bondsman seeking to collect the entire bail amount from the family. In these circumstances family typically have had no representation, and have been left to deal with the bail bondsman directly. In one case, the firm has filed an appeal challenging a judge’s holding that our client’s family did not even have standing to intervene and try to recuperate their lost money. The work of these dedicated pro bono partners has greatly enhanced the work of the Decarceration Project and ensured they are able to assist as many clients as possible.